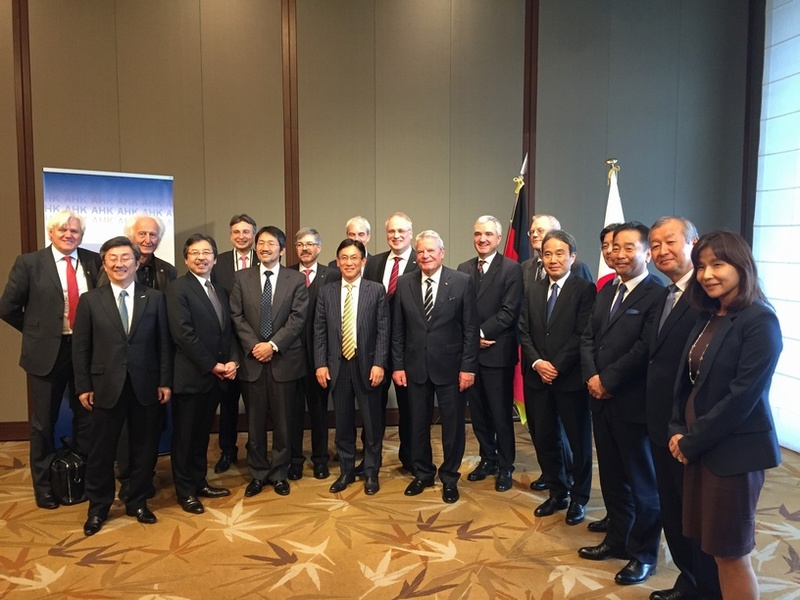 As a part of the visit of His Excellency Mr. Joachim Gauck to Japan in November 2016, a meeting with German and Japanese industry representatives including Prof. Dr. Nishioka, President of the IVI, was held on the topic “Digital Transformation – Impact on Companies and Employment Relations”. The attendees discussed on the topic which is widely debated in Germany, and Japanese attendees were also asked for their candid opinions about the case of Japan. Profound insight rooted in each participant’s experiences was well received by His Excellency Mr. Gauck.